Society member David Briggs wishes to let other members know that he is selling his collection at auction at Tennants of Leyburn on Friday 26th/Saturday 27th May 2017 – to coincide with the Leyburn Mineral and Fossil Fair that weekend. 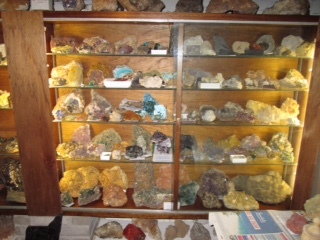 The collection comprises mainly UK minerals with an emphasis on the North of England including Yorkshire and Weardale fluorites. There are also specimens from noted Cumbrian sites including Hodbarrow when it was working, and from Dulcote and Yate in the southwest, collected when they were working quarries. Details of the Leyburn Fair can be found here. To contact the Society, please fill in this form and we'll respond as soon as we can.